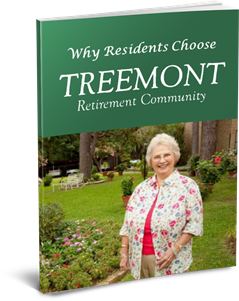 Treemont Retirement Community is an excellent value for seniors given our affordable monthly fee and no buy-in. 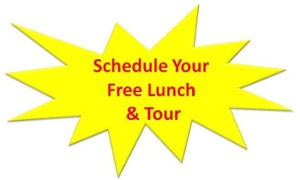 Your monthly fee for independent retirement includes three meals every day, weekly housekeeping services, the use of all facilities, activities and social functions, transportation to scheduled events, and utilities (except phone and cable). 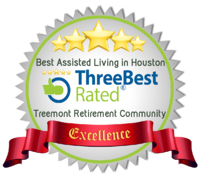 Treemont is Houston’s Retirement Tradition with long-time staff and a warm, friendly environment. Learn about the Top 10 Reasons for Seniors to Get Settled Now! We are the best value in town, with full amenity Independent Living Apartments rates starting at $1,700, single occupancy. 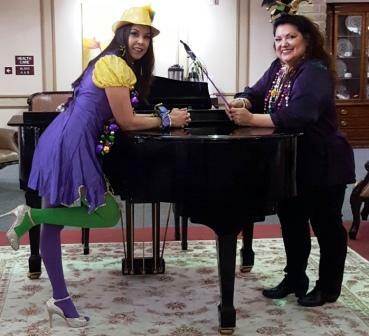 Ask Lupe or Linda about special rates on select apartments. 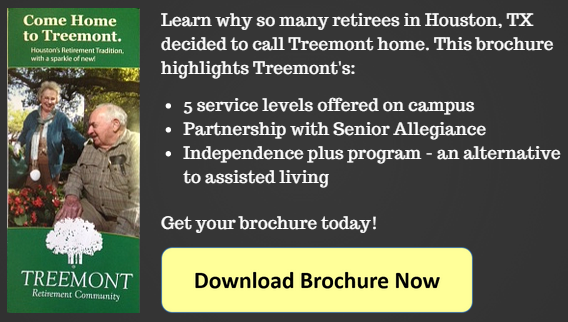 Click here to fill out a form requesting a brochure and additional information on Treemont. *Prices subject to change. First floor units, including those close to dining room, have a premium rate due to high demand. Assigned covered parking is $35 per month. Open Assigned parking is $25 per month. 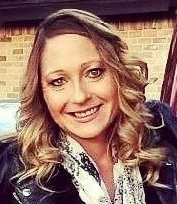 A Community Fee of $1000.00 is required for both one and two bedrooms. An additional fee of $650 per pet is also required. Pet fee is paid when resident moves in. To find out more about Independent Living, contact us or call (713) 783-6820 today. We would love to hear from you! Please call (713) 783-6720 to speak with Admissions Team members Lupe Sepulveda or Linda Parra for additional information on for Independent Living. Lupe and Linda are knowledgeable and fun! The daily rate covers your room, board, and nursing care for usual and customary care, but not for private duty nursing. Basic cable television and internet are also included in this daily rate. To find out more about Assisted Living, contact us or call (713) 783-4100 today. We would love to hear from you! To find out more about Nursing & Rehabilitionn Care, contact us or call (713) 783-4100 today. We would love to hear from you! Please call (713) 783-4100 or (713) 816-2033 (cell) to speak with Admissions Director Kelli Walleck for additional information on for Assisted Living, Respite, Nursing Home and Rehab Care.